HPPSC SAS Exam syllabus is available here, so read all provided details of this web page, carefully!!! Candidates, who are going to take part in Entrance examination, should start their preparation according to HPPSC SAS Exam Syllabus. Selected candidates will have to check latest syllabus as well as exam pattern for proper preparation and to do high rank marks in this written exam. Himachal Pradesh Public Service Commission had broadcasted an advertisement of recruitment before now for filling various vacancies of SAS (OB) post. This is volumetric option to crack this written exam for all candidates who are going to present in SAS (OB) Entrance Examination to get proper job. Applicants may also obtain SAS (OB) Entrance Examination pattern from here to know a better idea about exam. 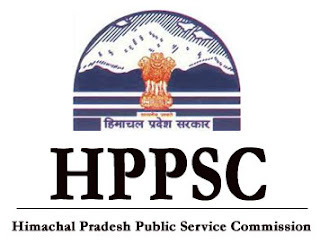 Himachal Pradesh Public Service Commission (HPPSC) conducts the SAS (OB) Entrance Examination for the selection of capable and sharp minded contenders for the various positions which are nil time to time. Latest Exam Pattern and Syllabus of HPPSC SAS Exam is updated here for all applicants who have applied for this job notification. Candidates who want to start their preparation in proper manner they should obtain pdf of HPPSC SAS Exam syllabus via this web page and give better perform in this written test. Himachal Pradesh Public Service Commission is big Commission of government sector which announced lots of recruitment every year. All appearing aspirants can open www.hppsc.hp.gov.in to get exam pattern and syllabus easily. Other essential details are also shown on this web page as official link of PDF file of HPPSC SAS Exam syllabus and more navigation links to navigate you for proper content connected to crack this recruitment exam easily. Précis letter writing, noting, drafting and other general questions to test the Ability of a candidate to write correct English/ Hindi. English/Hindi portion will carry 75 marks each. Questions on Rules relating to pay Fixation, Pension, T.A., LTC, Leave and GPF. (a) Fundamental Rules and Supplementary Rules (b) Himachal Pradesh Financial Rules, 2009. Note 1 ->> Standard of English Paper will be similar to that of the Degree Examination of any recognized Indian University and standard of Hindi Paper shall be similar to that of 10+2 examination or equivalent of recognized University or Board of School Education. Note 2 ->> Each Paper shall carry 150 marks and will be of three hours duration. Note 3 ->> The medium of examination shall be English except for paper-I for which the medium of examination shall be both English and Hindi Part-wise. (c) (i) The minimum pass marks shall be 40% in each paper and 45% in aggregate, but for reserved category the percentage will respectively be 5% less. (ii) The final selection shall be made strictly in order of merit, of course keeping in view the reservation of seat for reserved categories. वविललोम शब्द पर आधधावरत पप्रश्न. समलोच्चवरत वभिन्नधाररक शब्द पर आधधावरत पप्रश्न. विधाक्य पवरवितरन पर आधधावरत पप्रश्न. अननेकधारर शब्द पर आधधावरत पप्रश्न र . पयधायविधाचर शब्द पर आधधावरत पप्रश्न र . भिधावि पल्लविन/ भिधावि वविस्तधार पर आधधावरत पप्रश्न. विधाक्यधायांश कने वलए एक शब्द पर आधधावरत पप्रश्न. विधाक्य – अशमदवध सयांशलोधन पर आधधावरत पप्रश्न प् .